Please mr. policeman officer, pleasehelp me! I must report a robbery! I was walking on the Avenue 15th street no 15 when I saw I nice red dress in the showcase of the Steilmann shop. Obviously Abviously I stopped. 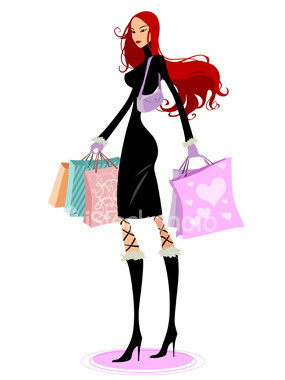 You know that I am a huge fan of shopping fan and I just cannot pass through without looking or sometimes even buying. Actually, I had bought an very expensive Zara dress from Zara just fifteen minutes before that this unfortunate accident happend. Anyway, As I was saying, I was admiring the dresses in that Steilmann dress and when suddenly I felt a someone grasp on my arm. As you can imagine, I got became very confused and scared in at the same time. I turned away quickly and I got shocked was stunned for 2 seconds: a short man, with a dubious look, was actually grabbing my bag! Can you imagine? He was robbing stealing my bag with my precious-just-bought Zara dress from Zara! Ohh my God, I thought I would faint. But in the next second I started beating him hardly with the magazine that I was holding in my other hand. I was so scared and frightened, because he had strongly grabbed my hand with so much force and had started rudely ripping my shirt. I can still feel my hand aching me. My hand still hurts! Can you please help me? I want my bag back. With that fancy dress I had in it. I also lost my identity card ana my wallet too. Please, I leave live near the center, on the at number 12, Future str. no 12. I leave you Here is my entire address and when you find that horrible thief, could you could call me immediately on at this number? Catch that man, he is a real danger on our streets! You had me smiling the whole time. Not because the woman had been robbed but by how creative and descriptive your assignment is. I LOVE IT! You really set an example for everyone else here. I changed a couple things (word placement, spelling and a bit of grammar) BUT in general I must congratulate you. What a great job! Keep you the great work Raluca. I went for shopping but suddenly as I picked up my wallet from my bag, an unknown person stole my wallet and ran outside of the shop. Being a girl I could not catch him. I called the police for help, but unfortunately due to the slow service of the police, the thief ran freely from the spot. I was interrogated by the police officials officers on this matter. I could not recognize his face, but except his he was dressed in black pants and a blue shirt and was of average height. Since, I have had no more money I came home empty handed and was scolded by my parents for not taking better care the money. It was a memorable day in my life so that I will handle money very carefully in the future. Your descriptions are very interesting. Now, I know how to describe a theft or robbery to the police!!! waoo you are so creative person! Your story was really good and funny. I began to read it and then I was laughing. We need people like you who make things to learn easier and enjoyable. Hello Diana, thanks for your feedback!!! First I have to say that I really liked the way you improved my assignment. Now I can easily understand my mistakes. And that is great because, next time when I will read something I will pay attention to those kind of issues. Return to Show me how you "explain a situation in English".